Gumbo's "Pic of the Day"
Wall drugstore also has coffee for a nickel but I didn't get a photo of that sign. Echoing DrFumblefinger's comment: until I saw your picture, and did some research, I never knew this remote area of Nepal existed! Terrific photo of a place few of us will ever get to! Thanks for sharing this. The affiliates listed below are recommended by the Gumbo Gurus based on their own personal experience. If you access their sites and make purchases through these links, we receive a commission, which helps pay the costs of operating TravelGumbo. 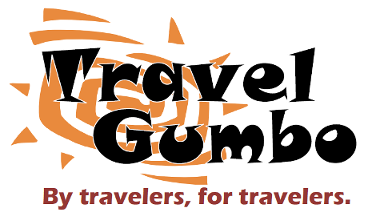 TravelGumbo has no financial relationship with any other business we recommend.